Teri: Aaron and I bought this bottle from the winery after doing a charity donation tasting (tasting fee goes to charity and you get to try a reserve wine..awesome set up). After 16 years in the bottle, this wine still contained some structured tannins but left you with an extremely smooth mouth feel. Along with a juicy berry nose, the flavors of peppery black cherry and sweet oak made this one bottle to enjoy on its own. 90 points. Any merlot Desert Winds crafts will be good for aging–buy a few and let them sit for 5-10 years. 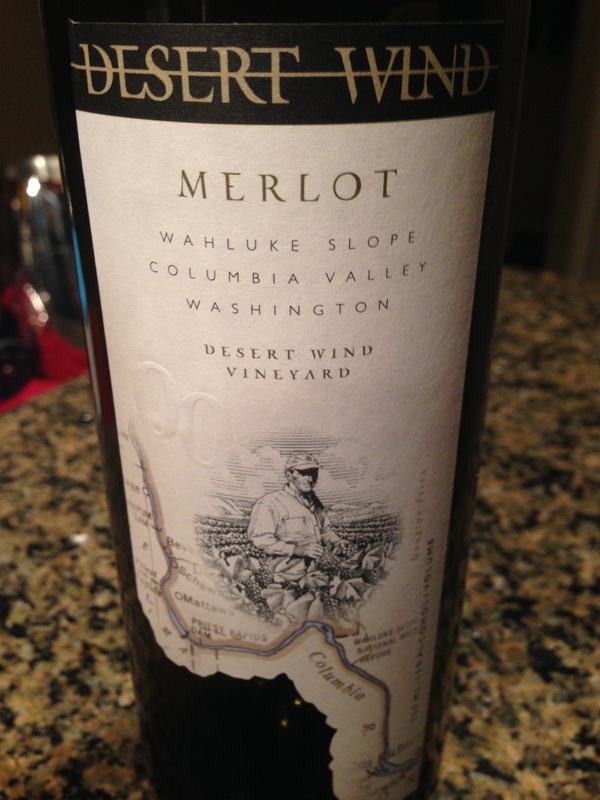 This entry was posted in 90+ points, Impress a Snob, Red and tagged 2000, Columbia Valley, Merlot, Red, Washington by aaronandteri. Bookmark the permalink.